These were ok, but I wasn’t pleased by the still doughy texture of the inside of the beignets. The flavor was decent though and I liked the cajun remoulade. 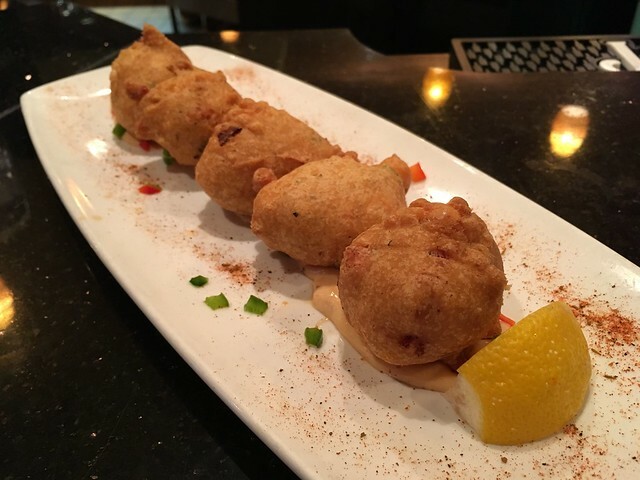 This entry was posted in Lynchburg Legends Bar & Grill and tagged beignets, Cajun, food, remoulade, shrimp by vicentesf. Bookmark the permalink.